Don't just deck the halls this Christmas. 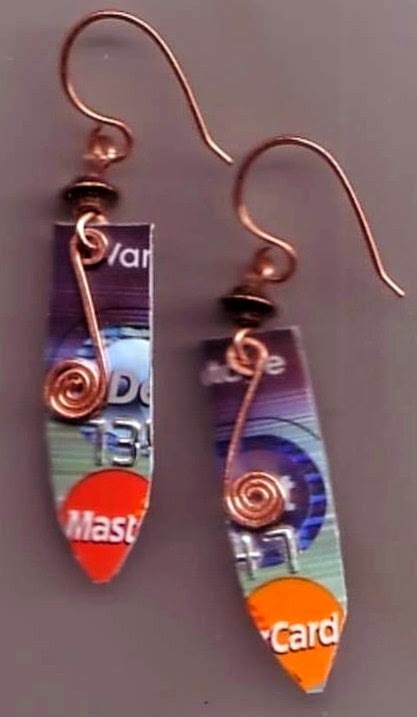 Create a piece of wire jewelry that lets you take a bit of holiday cheer wherever you go. 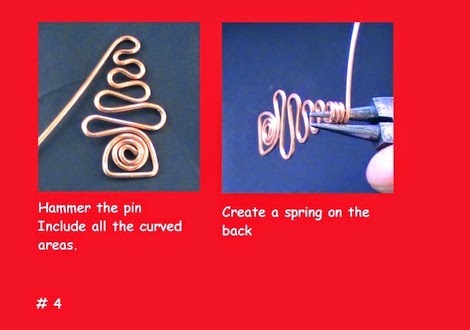 Make a wire Christmas tree pin. Wear it on your sweater, coat, scarf or hat for a unique holiday touch that's bold and creative too. 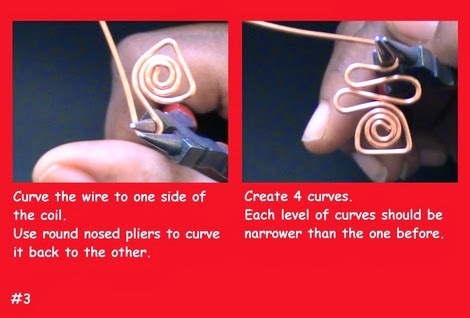 Creating your own bold wire Christmas tree pin is pretty simple. Once you get the hang of it, you'll want to make a Christmas tree pin for every friend on your Christmas list. 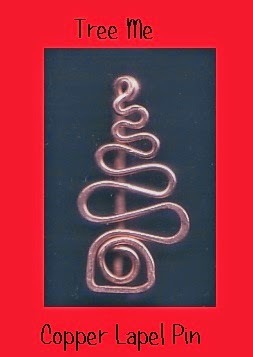 If you are already creating wire jewelry, use precious metals if that's what you prefer. 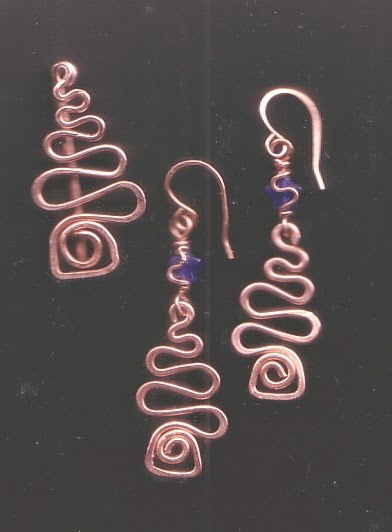 If you don't have much experience working with wire, try experimenting with copper wire until you get the hang of the technique. Switch to more expensive metals, like sterling silver or gold filled, once you feel comfortable. Cut a 12 inch piece of 16 gauge wire. 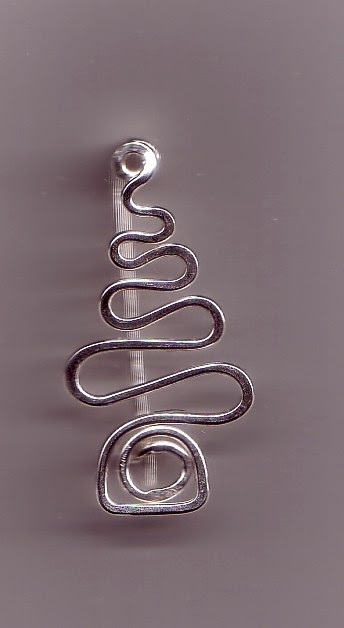 If you're using sterling silver or gold filled wire, 18 gauge wire is a less expensive option. 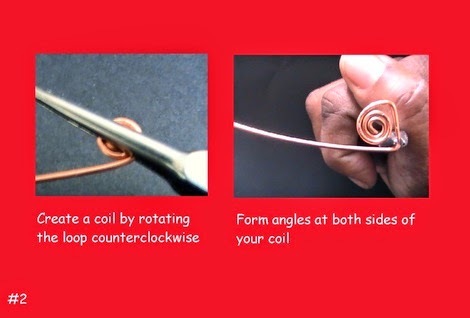 Create a coil (aka swirl) by rotating the loop counterclockwise approximately 3 rotations. Create another angle at the other side. This will be the bottom of your tree and also where you will form your pin "catch." 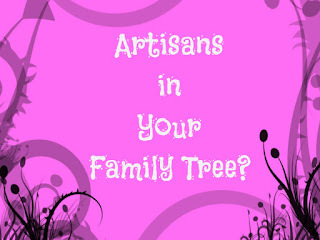 Decide how wide you want your tree pin. Make 4 levels of curves on each side, each next level should be a little narrower than the previous level. You can make more curves if you choose, but be sure you have at least 6 inches of wire for a spring and pin at the back. (Optional) Hammer the curved areas. It helps them to retain their shape. Cut the remaining wire so your pin point will end just above the bottom of the tree. Hammer the pin to flatten and harden it. Use sandpaper or your emery file to continue smoothing away rough edges and make your point a bit pointier. If you have a tumbler or other mass finishing device, use it to polish your wire Christmas tree pin to a shine. If you don't have a tumbler, smooth your Christmas tree pin with sandpaper or an emery file. 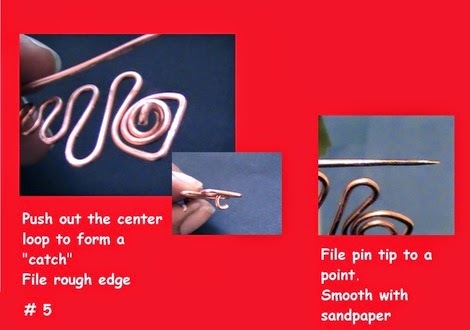 Try making a smaller pin using a set of mini jewelry making tools. Your Christmas tree pin will be a bit more petite and you will use less wire. Create a tree with matching earrings.